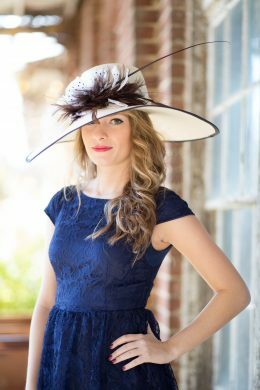 Anne B. is an asymmetrical crown lending this fine parisisal straw a sculptural quality. 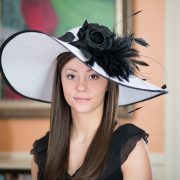 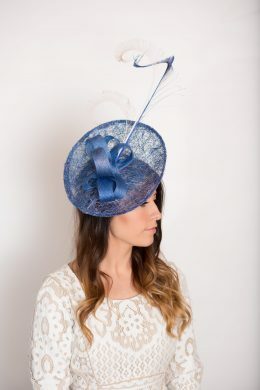 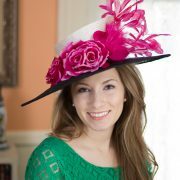 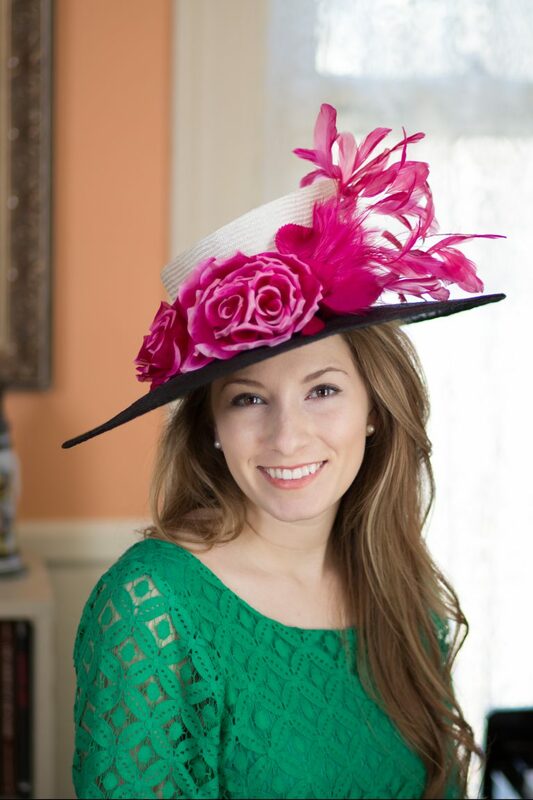 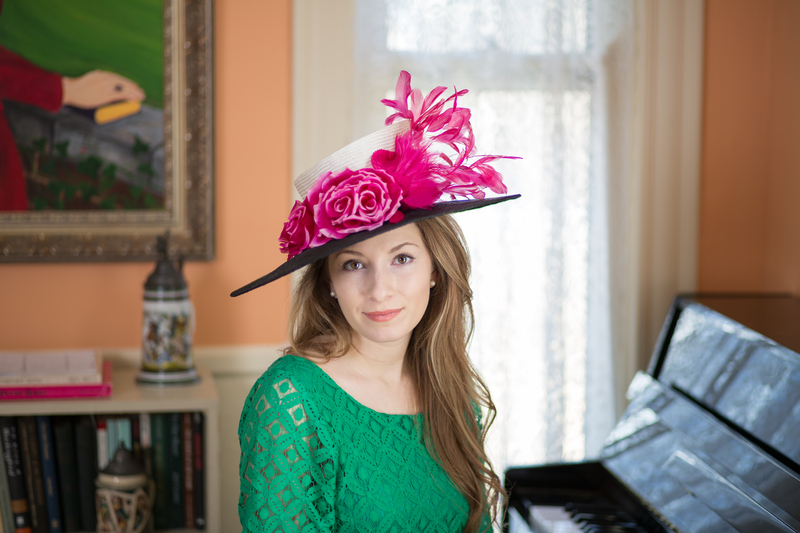 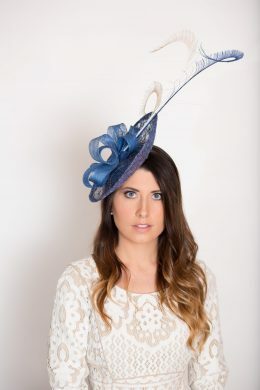 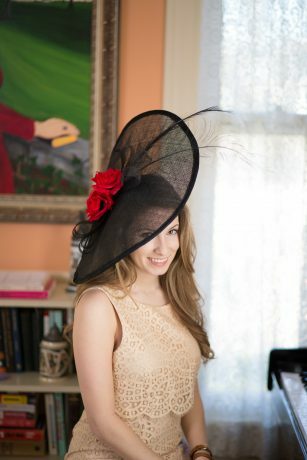 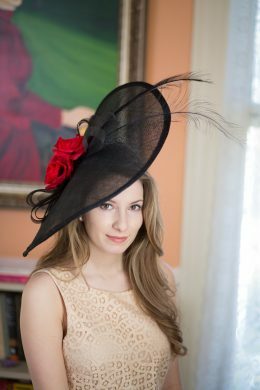 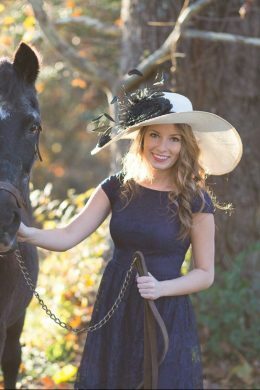 Hand blocked with an ivory crown over a medium black brim and festooned with fuchsia pink silk roses, this hat is smart and versatile. 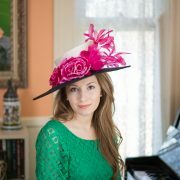 The hot pink feathers are stripped coque.